The NHL Central Scouting Service has released its annual preliminary players to watch list ahead of the 2019 NHL Entry Draft. 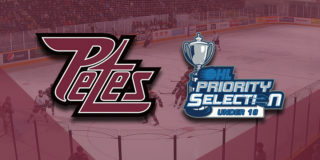 Four Petes players, including Erik Čermák, Pavel Gogolev, Hunter Jones, and Nick Robertson were named to the list. Robertson, a 5’8”, 156lbs centre, earned a ‘B’ rating on the players to watch list, suggesting that he could be a possible second- or third-round choice in the NHL Entry Draft, after a successful rookie season with the Petes. 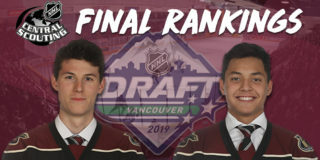 Čermák, a 5’11”, 154lbs left winger, Gogolev, a 6’0”, 178lbs right winger, and Jones, a 6’4”, 194lbs goalie, earned ‘C’ ratings on the players to watch list, which indicates that they are potential fourth to sixth round selections. 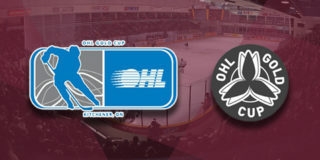 Catch these players to watch and the rest of the Petes in action this Thursday, October 4 at 7:05pm when they host the Soo Greyhounds for the only time this season. Tickets are available through the PMC Collins Barrow Box Office in person and over the phone Monday to Friday from 9:30am to 5:00pm, and 24 hours a day online. Fans can still take advantage of the Season Starter Pack and save over $40 on tickets and merchandise by clicking here. Hungry fans should also get their tickets while supplies last for the all-you-can-eat Petesa Party on Friday, October 12. Tickets start at just $10, with proceeds supporting the Petes Education Fund and Roger Neilson House. Want the most up-to-date information on the Petes? Join thousands of fans and stay up to date with the Petes by downloading the Peterborough Petes Mobile App available for iPhone or Android devices. 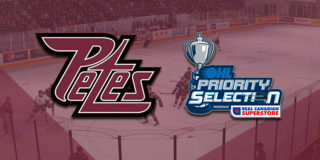 Enter 2019PLAYERSTOWATCH in the Lansdowne Place My Rewards section of the Petes app to earn loyalty reward points.